The Department of Homeland Security is urging all Americans to be prepared to sustain our lives in the event of a natural catastrophe or terroristic attack. With that in mind, I have started collecting items that will help me in a grid down situation. 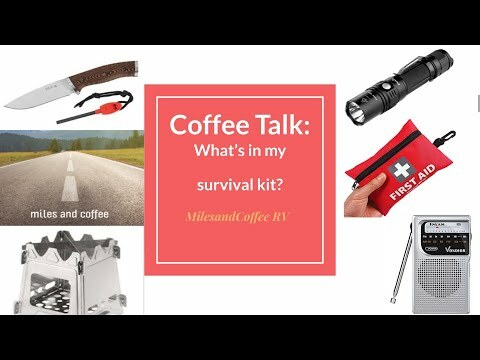 While I am a newbie prepper, I feel it necessary to start small and continue adding to my skills, stored items, and awareness. The above video was created to get the ball rolling if you will, but it is not to indicate that my list is complete. My list is growing by the day and I try not to get overwhelmed. The motto on my channel is "Keep it Simple and Take it one day at a time." Please share in the comments below. I realize that many have been preparing for years. Knowledge is power.